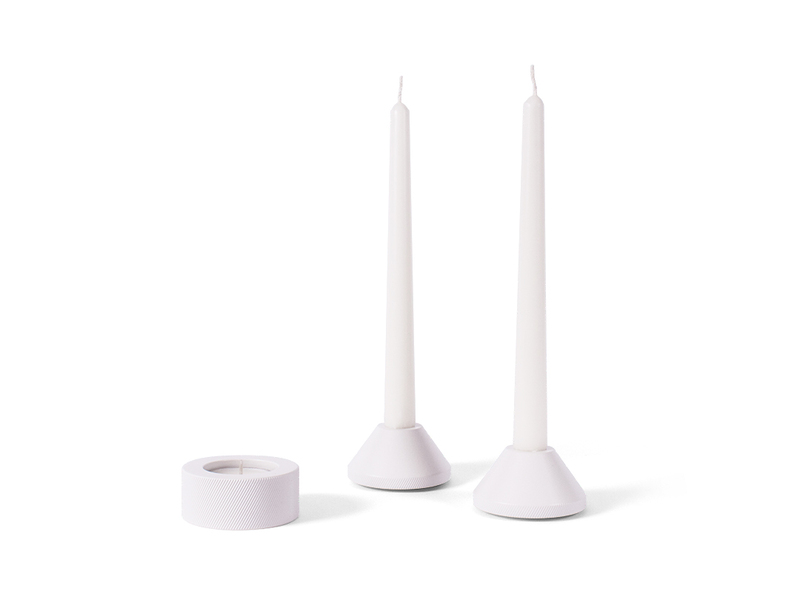 Totem is a set of candleholders made for today’s use of a candle, an aesthetic object with symbolic meaning. 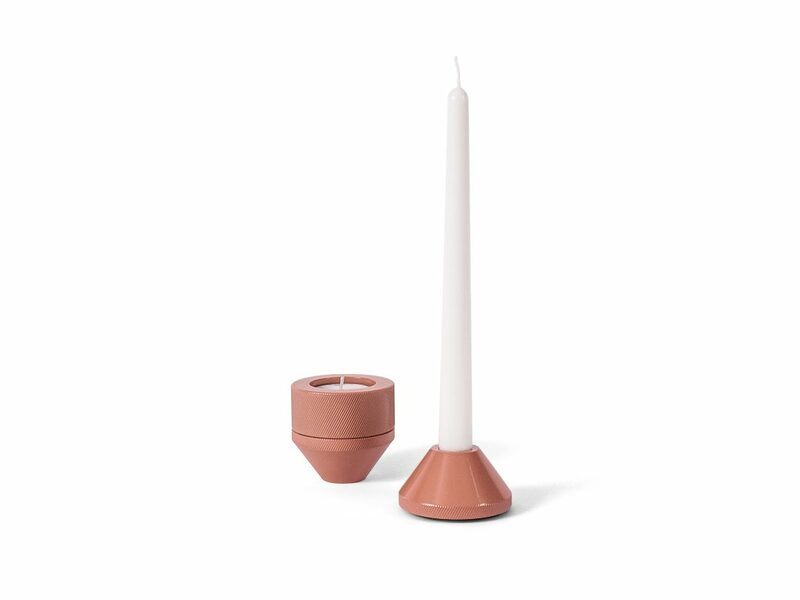 The product is inspired by the idea of using pure geometrical shapes that together create a sculptural volume following functionality and binding it with the simplest shape and concept. 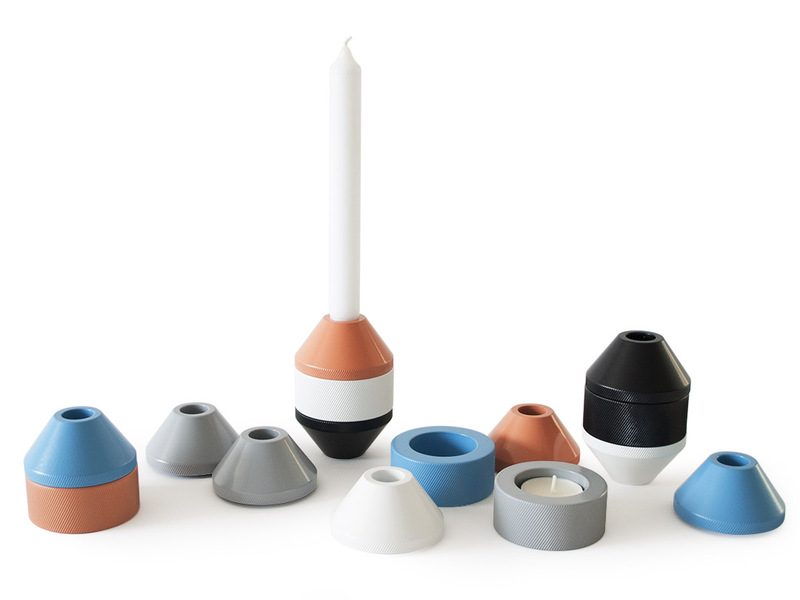 The set of candleholders can be used combined or as single elements, giving freedom in use and the trade of a shape shifting object. 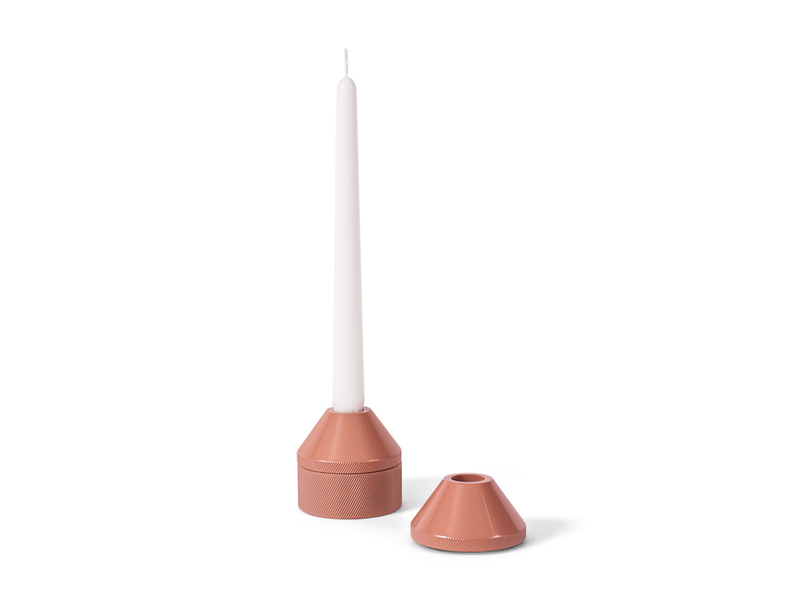 The two conical shapes of the set can hold classic candle sticks while the cylinder holsters a tea light. 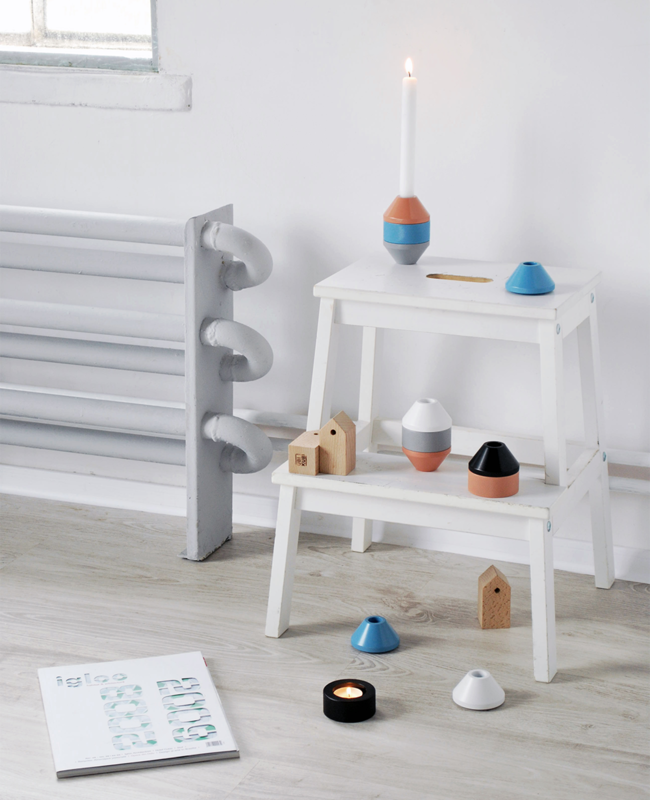 The product is made from casted aluminum with powder coated finishes.